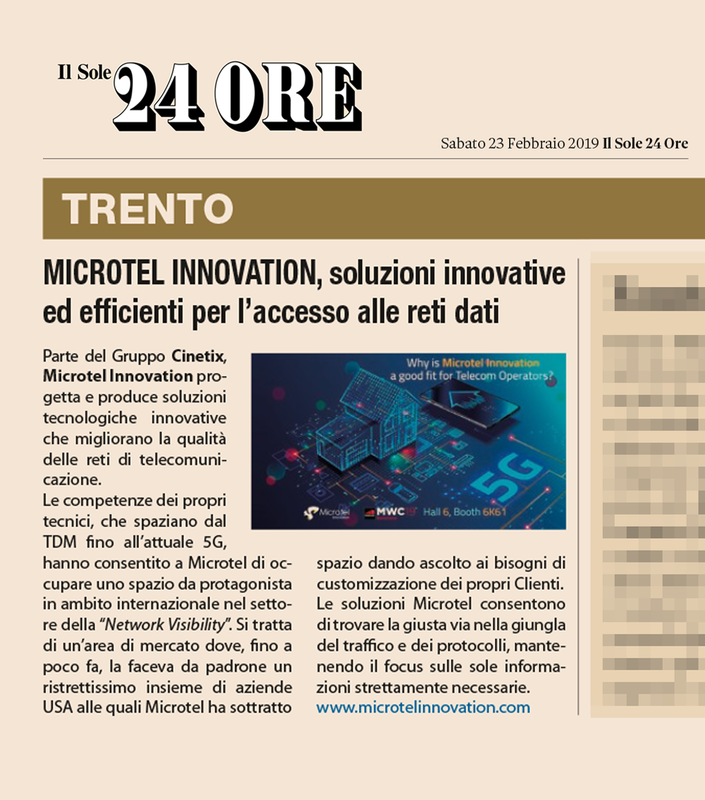 Il Sole 24 Ore, the most relevant industrial and economics newspaper in Italy, in today’s edition dedicates a section to Microtel Innovation, describing the company as an innovative and complex reality which has been able to gain a remarkable role on the international scene. The journalist explains how Network Visibility represents a small market niche where, historically, US industries use to hold an overall market leaders position. Over time, Microtel Innovation, thanks to an extensive and qualified experience in the Telco field, became a benchmark for international companies who need tailored monitoring solutions to ensure a top quality experiences to their customers. In a context driven by data explosion – like the one we are living in- Microtel Innovation represents the right choice to support Telecom Operators with the upcoming technology challenges.